The fate of the Rose Hill Tavern will hang in the balance next week when councillors consider an application to turn it into flats. Campaigners were celebrating today after they were told an appeal against the 130-year-old pub being listed as an asset of community value (ACV) had been dismissed. But council officers say this is not enough to stop plans to convert it into housing. Now, it is up to Brighton and Hove’s planning committee to decide whether to accept their recommendation to approve the conversion when they meet next Wednesday, 1 April. Richard James, Chair of the Rose Hill Tavern Action Group said: “It’s great that an eminent judge has agreed with the council and with us that the pub is an asset of community value. The council received 25 objections to the plans from people arguing that the pub is an important part of the city’s heritage. However, neighbours opposite supported the application, saying they endured years of loud music, fights and foul language while the pub was open, and that the campaigners did not come from the immediate neighbourhood. The council’s heritage team said the loss of the pub was “regrettable” but commended the retention of original features, including its distinctive green tiles. In regards to planning policy, the report says: “It is a fine balance between the weight to place upon the social and economic benefits from the provision of one residential unit versus the weight to place upon retaining a valued community facility. “The listing of the public house as an ACV by the council reflects the fact that it is valued within the local community. “The recent listing of the property is considered to be a material planning consideration in this instance and adds some weight to the significance of the property as a valued community asset. “In addition, the historical use, character and appearance of the building also serves to engender a strong sense of place within the local community. “It is acknowledged that the public house is a valued community facility that is not directly comparable to other [pubs, cafes and restaurants] within the locality in regards to their historical character and social value. “It is, of course, furthermore acknowledged that the council as determining authority under the Localism Act considered that the Rose Hill Tavern met the statutory tests under that Act that enabled the building to be listed as an ACV. The pub was closed last May after its owners, Enterprise Inns, sold it to Evenden Estates. The Rose Hill Tavern Action Group applied to designate the pub as an ACV, which means that should the pub or the land be sold in the next five years, the local community can hold up any sale whilst putting their own bid together to buy the building. Evenden Estates appealed the council’s decision to list the Rose Hill Tavern on the ACV list in August year. The council rejected that appeal, and Evenden took the matter to the First Tier Tribunal whose Judge Peter Lane heard the different cases in February before making today’s ruling. 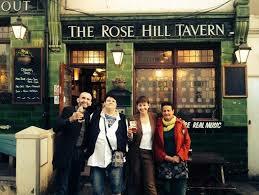 The Rose Hill Tavern and the Saltdean Lido are now the only two sites listed as assets of community value. 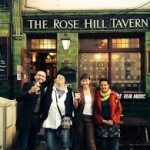 Imperative other pubs must be listed as ACV or more of Brighton’s historic pubs such as Rose Hill Tavern and Horse & Groom will be lost forever. Enterprise or Evenden do not have any interest or consideration for the community. Good luck Richard James, hope the council provide the decision you need.